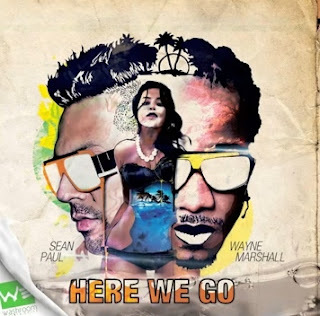 Dancehall recording artists Wayne Marshall and Sean Paul have once again teamed up on a brand new mainstream single entitled "Here We Go" for fast rising production label Washroom Entertainment. The new collab which was official released last week has been getting steady radio airplay both locally and overseas while the social networks fans continue to buzz about the track which had become highly anticipated due to early mentions from both artist on their twitter page. Having collaborated several times before on previous songs like "As Far As I Can See" and "Yard Bone" which was featured on Sean's platinum selling 2005 album the "Trinity", Wayne Marshall and Sean Paul have a natural synergy every time they hit the studio.